In Oct 2011, a few Stanford professors offered three online courses which were completely free. The strong public interest in these courses caught everyone by surprise. More than 100,000 people signed up—for each course. This led to a feeling of FOMO (Fear of Missing Out) across higher education and Silicon Valley, both of whom invested huge amounts of capital and resources to launch free online courses without any concrete plans to recoup the costs (or get return on their investment). Within two years, more than a 1,000 instructors from more than 150 universities had launched online courses. The media started calling this space MOOCs or Massive Open Online Courses, a term coopted from a 2008 experiment. The narrative in early days of MOOC space was around the disruption of universities. The Internet had finally come after its latest victim—higher education. Sebastian Thrun, co-founder of Udacity, famously predicted that in 50 years there would be only 10 higher education institutions. Not all MOOC providers shared this narrative, but this was the one that the media stuck with it. Now, more than five years later, we know this is not the case. I started Class Central at the end of Nov 2011 as a side project to keep track of free online courses, so I’ve followed the space closely right from the beginning. MOOC providers have learned a lot in the last five years, and they’re now more certain about who their real audience is—and they’re not the dabblers and lifelong learners who take courses just for curiosity’s sake. In my last year’s analysis of the MOOC space, I concluded that there’s been a decisive shift by MOOC providers to focus on “professional” learners who are taking these courses for career-related outcomes. At the recently concluded EMOOCs conference, the then CEO of Coursera, Rick Levin, shared his thoughts on this shift. He thinks that MOOCs may not have disrupted the education market, but they are disrupting the labor market. The real audience is not the traditional university student but what he calls the “lifelong career learner,” someone who might be well beyond their college years and takes these online courses with the goal of achieving professional and career growth. To target professional learners, MOOC providers started creating content in high-demand skills and launched their own proprietary credentials. Coursera for instance, took control of its catalog by incentivizing universities to launch Specializations (Coursera’s micro-credential) in certain topics. They put out a proposal with a list of specializations that its member universities could bid on. The winning bids would receive a monetary grant of $100,000 to create Specializations. The grant money would be recovered out of the Specialization revenues. 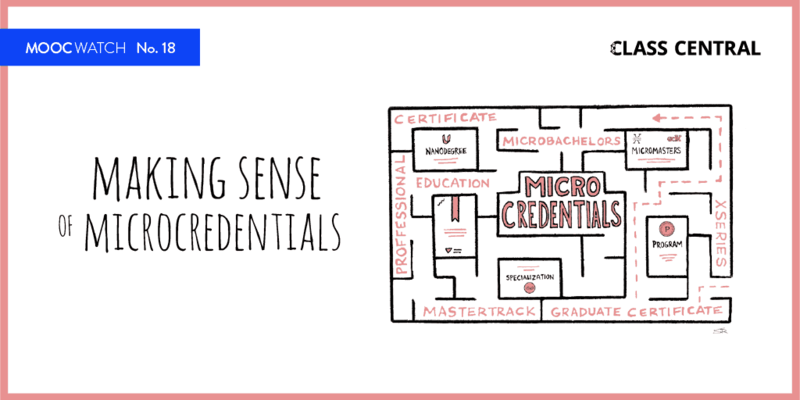 It turns out that just launching these credentials wasn’t enough to get learners to pay. So over time to increase the number of people converting to paying customers, the range of features and experiences that were once free have dramatically shrunk. But there are more-efficient ways to target professional learners than trying to sign them up one at a time. Coursera and other providers can sign students up in bulk by reaching them through corporations who generally have huge training budgets for employees. Skillsoft, an e-learning provider that exclusively sells to businesses, claims to have 400 million learners including 65 percent of Fortune 500 companies. The market size for corporate learning is easily in the tens of billions of dollars annually—and maybe even bigger than the direct-to-consumer market that MOOC providers started out in. It still early days, but Coursera claims to have more than 50 enterprises using its Coursera for Business product. But at the center of all this is still the traditional university. Though MOOC providers have started partnering with companies to create their courses, those are usually limited to teaching learners how to use the company’s own products or simply a branding exercise. 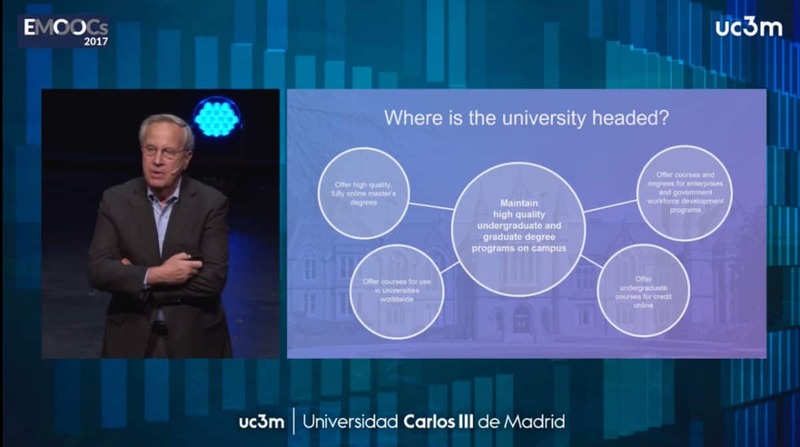 Both Levin and Simon Nelson, CEO of another MOOC platform called FutureLearn, reiterated at EMOOCs how MOOC providers are not an alternative to traditional colleges, but a strategic partner. 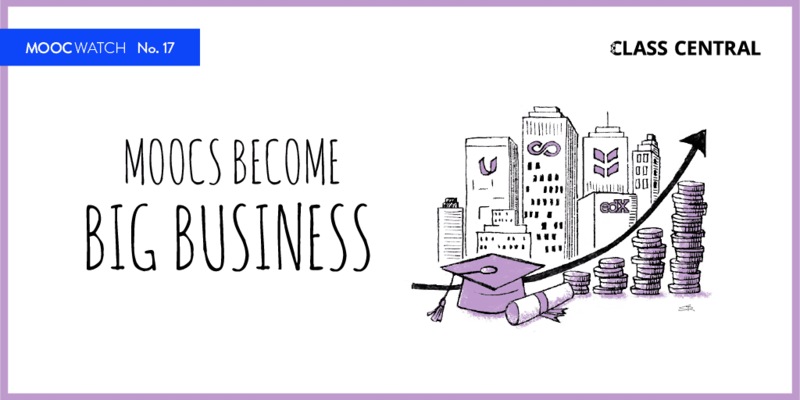 Helping universities put their courses online or earning academic credit for MOOCs is only the beginning. 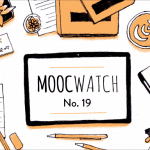 MOOC Providers also want to help—and convince—universities to put their entire degrees online. Early this year, edX announced its first master’s degree in partnership with Georgia Tech. Coursera plans to have up to 20 online degrees by the end of 2019. FutureLearn just announced that UK’s Coventry University will offer 50 post-graduate degrees on its platform. Last year it partnered with Australia’s Deakin University, which announced seven post-graduate degrees. One of the lessons I learned from running Class Central is that to make money, you need to make others money. 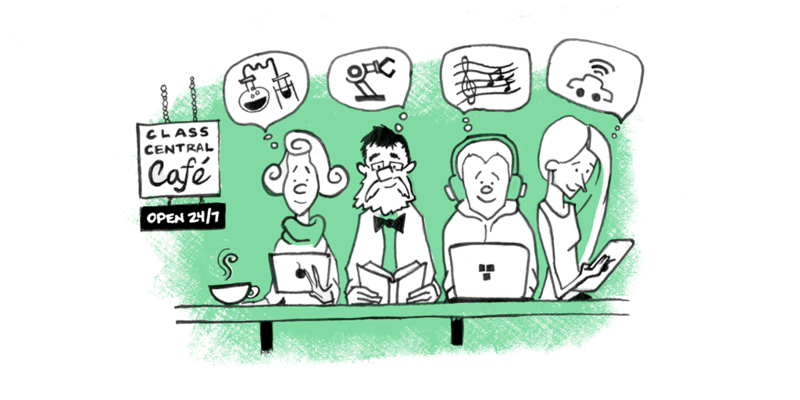 By targeting professional learners, MOOC providers are trying to exactly do that. To better serve this audience, every MOOC provider has launched products that range from tens of dollars to tens of thousands of dollars. As a professional learner, I feel a certain amount of comfort knowing that high-quality educational material exists for skills that I would want to learn in the future. But if you are true lifelong learner—the ones that helped start all the hype in the first place—the MOOC experience has largely been reduced to basically a YouTube playlist with a cumbersome user interface. 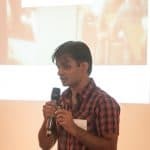 My post first appeared on EdSurge. Sign up for EdSurge’s Weekly Higher Ed Newsletter for weekly news updates, interviews, and debates on edtech and the future of education. You have done a wonderful job . See my university free for masters degrees set up in US? It will be operational within 30 days . I woul sppreciate your comments .